The Center for Health Care Market Innovation is a hub for the evolution of health care markets. We conduct research on the demand for health care, how it is changing, and the capacity for new financing and delivery models to successfully meet changing consumer needs. Vanderbilt University’s Owen Graduate School of Management established the Center for Health Care Market Innovation, a new corporate-funded research center focused on health care markets. Through a substantial lead gift made by an anonymous corporate donor, the center launched in summer of 2016 with ongoing financial support from corporations that are affected by the changing demand for health care. Associate Professor of Economics & Management. Exec. Director for Health Affairs, Owen Graduate School of Management. Associate Professor of Law, Vanderbilt Law School. Associate Professor of Health Policy, Vanderbilt School of Medicine. Larry Van Horn is a leading expert and researcher on health care management and economics. His research on health care organizations and markets, managerial incentives in nonprofit hospitals, and the conduct of managed care firms has appeared in such leading publications as the Journal of Health Economics, Journal of Law and Economics, International Journal of Industrial Organization, Management Science and Operations Management, New England Journal of Medicine, Medical Care, Medical Care Research and Review, Journal of Public Budgeting and Financial Management and Harvard Business Review. Professor Van Horn is responsible for the graduate health care programs at the Owen Graduate School of Management at Vanderbilt University. He also holds courtesy appointments in both the medical and law schools, Professor Van Horn is a highly sought after speaker on the topic of health care reform for national associations and corporations. He has consulted with most of the largest hospital systems and insurers in the United States on topics of data analysis as well as antitrust concerns. He is the founder and CEO of Preverity LLC, founder and partner of Health Systems Innovation LLC, and a senior professional with CompetitionEconomics LLC. He is on the board of directors for Community Health Care Realty Trust (NYSE: CHCT), Quorum Health Corporation (NYSE: QHC) and Pierian Biosciences. And he sits on advisory boards for the State of Tennessee as well as Vanderbilt University. Associate Professor of Marketing. Research Interests: Really-New Products, Preference Development Over Time, Developing Brands. Area(s) of Expertise: Marketing, brand management, consumer behavior. 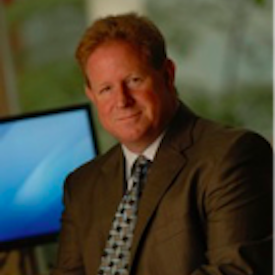 Steve Hoeffler is an expert in consumer products marketing, brand management and consumer behavior. His research on such topics as positioning multiple category products, marketing radically new products and the advantages of strong brands have appeared in such journals as Journal of Consumer Psychology, Journal of Product Innovation Management, and Journal of Marketing Research. Among his current research interests are the marketing of “really new” (novel) products and the development of consumer preferences. 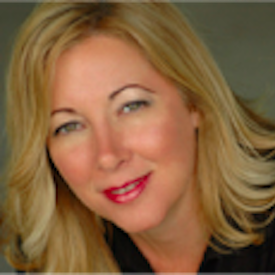 Prior to joining Owen, Hoeffler was assistant professor of marketing at the Kenan-Flagler Business School at the University of North Carolina at Chapel Hill. He has worked in marketing for NCR/AT&T and consulted for Procter and Gamble, IBM and Fujitsu. He has been an ad-hoc reviewer for such academic publications as the Journal of Consumer Research, Journal of Marketing Research, Journal of Marketing and Journal of Economic Psychology. His research and expertise has been featured at conferences and seminars held by academic and professional associations, including the Association for Consumer Research, the Society for Consumer Psychology, and the American Marketing Association Educators Conference. 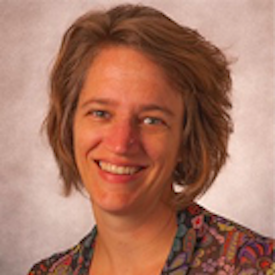 Hoeffler, who has received research grants from the Marketing Science Institute, is a member of the Association for Consumer Research, American Marketing Association, Society for Consumer Psychology, and the American Psychological Association. Scarlett Gilfus serves as program director for the Health Care MBA and Master of Management Health Care programs at the Owen Graduate School of Management. She is also the executive administrative assistant to Professor Van Horn. Scarlett recently assumed the added responsibilities as director for the Research Center for Health Care Market Innovation. Scarlett joined Vanderbilt in 2010 as a program coordinator and subsequently was promoted to program director. Benjamin is an expert and researcher on the law and economics of health care. His research on health care workforce regulation and punitive damages has appeared in journals such as Medical Care Research and Review, the Journal of Empirical Legal Studies, and the Vanderbilt Law Review. 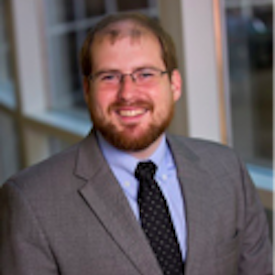 Dr. McMichael is a postdoctoral scholar at the Owen Graduate School of Management at Vanderbilt University. He is licensed to practice law in the State of Georgia, and he previously served as a judicial law clerk to Judge Carolyn D. King on the United States Court of Appeals for the Fifth Circuit. During graduate school, Dr. McMichael served as an articles editor for the Vanderbilt Law Review. He completed his dissertation on the effect of tort reform and occupational licensing laws on the health care workforce under Professor Larry Van Horn. Dr. Hayes has worked as a nurse in a federally qualified health clinic, at hospitals, and in the research setting. Her interest in population health led her to complete a Ph.D. in epidemiology at the University of Illinois with a focus on quantitative methods. She came to Nashville for a postdoctoral fellowship at Vanderbilt University Medical Center and has spent time at the Tennessee Bureau of Medicaid, and in the Informatics Center at VUMC. The CHCMI Student Fellow Program provides exclusive programming and executive networking to a maximum of six incoming students, who are completing the Owen health care concentration. Selection will be based on relevant work experience in health care, specific skills that are of value to the mission of the CHCMI research center, professional demeano,r and genuine commitment to a career in the health care industry. The designation of CHCMI Student Fellow is a privilege and honor among Owen peers. The CHCMI Student Fellows are a select few and earn unequaled access and programming in exchange for their active service to the Owen community as students exemplifying both academic and leadership excellence. Matt Sternberg moved to Nashville from Chicago, Ill. He studied systems engineering and entrepreneurship at the University of Pennsylvania and then spent three and a half years working in a fast-paced consulting environment focused on tech strategy and large-scale software implementation. Passionate about new technology and disruptive care models, Vanderbilt’s Owen Graduate School of Management was a natural fit. In his first year as an MBA student, Matt co-led a project to assess and reorganize LifeFlight, Vanderbilt University Medical Center’s emergency air medical transport service. 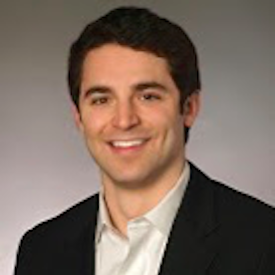 Matt also serves on the boards of the Vanderbilt Health Care Club and the Vanderbilt Entrepreneurs Association. Ethan Hall is an MBA student at the Owen Graduate School of Management where he focuses on health care and serves as co-chair of Vanderbilt’s student-directed annual health care conference. 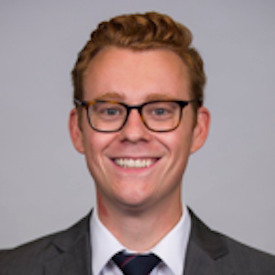 Before coming to Owen, Ethan graduated from Gettysburg College in 2011 before starting his career in Washington, D.C. Ethan spent several years working in health care consulting with the Advisory Board Company. 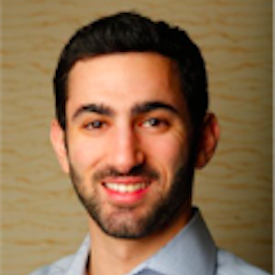 Ethan then spent two years with the electronic prescribing provider, Surescripts, where he worked in Product Innovation, helping to grow the company’s network business portfolio. At the same time, Ethan launched and founded Embitterment Bitters, Washington, D.C.’s, premier producer of craft cocktail bitters. He now serves an advisory role in the business and sits on the Board of Directors. 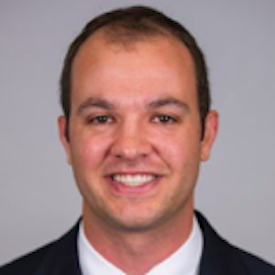 William (Bill) Faucher is an MBA student at the Owen Graduate School of Management. Prior to Owen, Bill graduated from Norwich University in 2007 with a Bachelor of Arts degree in Criminal Justice. Bill was commissioned in the United States Army as an Infantry Officer and served in the 101st Airborne Division. Bill then served as a Special Forces Officer with the 5th Special Forces Group conducting operations across the Middle East. Bill transitioned from the Army and is pursuing a career in Health Care Operations. Bill resides in Brentwood, Tenn., with his wife Megan, daughter Aubrey, and son Sean. 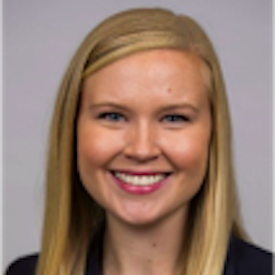 Ashley Costello is an MBA student at the Owen Graduate School of Management where she serves as co-chair of the Vanderbilt Business Health Care Conference. Ashley grew up in Virginia and earned a Bachelor of Science in Nursing at George Mason University. She then spent six years as a nurse in the emergency departments and critical care units of Washington, D.C. During this time, she also worked for a non-profit organization providing forensic nursing services to trauma patients and spearheaded a city-wide outreach effort in partnership with several universities. Ashley is pursuing a career in health care operations. Doug Chod is an MBA student at the Owen Graduate School of Management. Prior to Owen, Doug graduated from the University of Michigan in 2012 with a Bachelor of Arts in Economics and Organizational Studies. 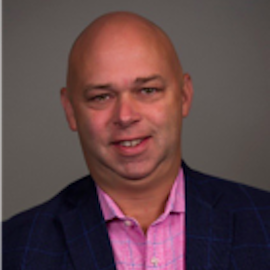 Doug joined Deloitte Consulting in the Strategy & Operations practice where he worked primarily with health care payers. Doug then served as chief of staff for Clinical Operations at Altus ACE, an Accountable Care Organization. Doug is pursuing a career in business development with a specific interest in health care startups. 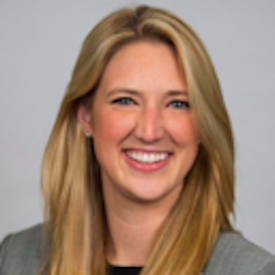 Tori Samples is an MBA student at the Owen Graduate School of Management at Vanderbilt University. Tori joined Hospital Corporation of America in 2012 after graduating from Vanderbilt with degrees in Harp Performance and Public Health. As a data architect in IT&S, Tori designed databases and built products from clinical, operational, and claims data to impact patient care initiatives and strategic decision-making. Tori continues to work part-time for HCA while getting her MBA. She has also spent significant time working in HIV clinics in Tanzania and enjoys teaching ESL to refugees. She and her husband, Matt, reside in Nashville.